Yesterday we decided to take a walk to the allotment to see how long it takes. We had walked before but we were pushing our little grandson on his trike so it wasn’t a true test of how long it takes to walk. From our door to our plot it took forty minutes of brisk walking. 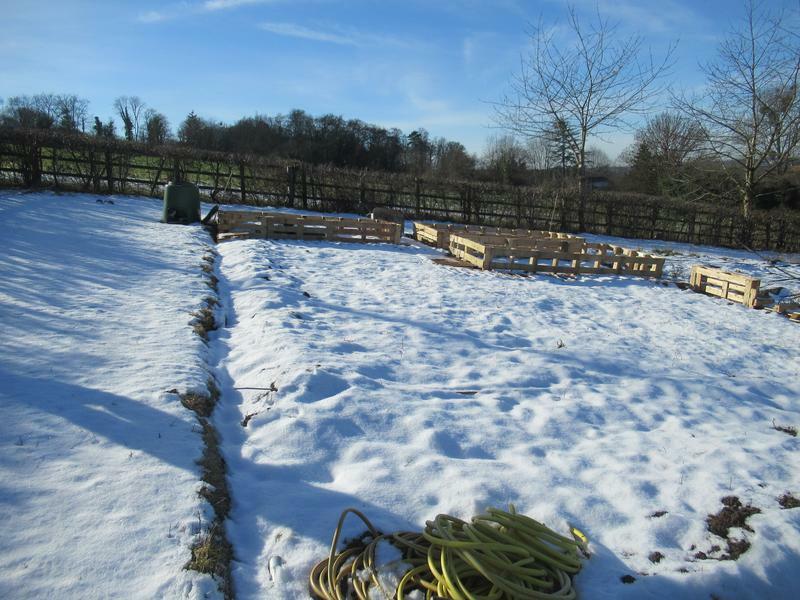 We haven’t been able to do anything more with the plot because of the weather. Despite frozen, crunchy snow, it was a lovely day. Cold but sunny with clear blue sky. It was good to get out for a walk. Back home I thought I would take another photo of our snowdrops this time in the snow. The snow is gradually going. 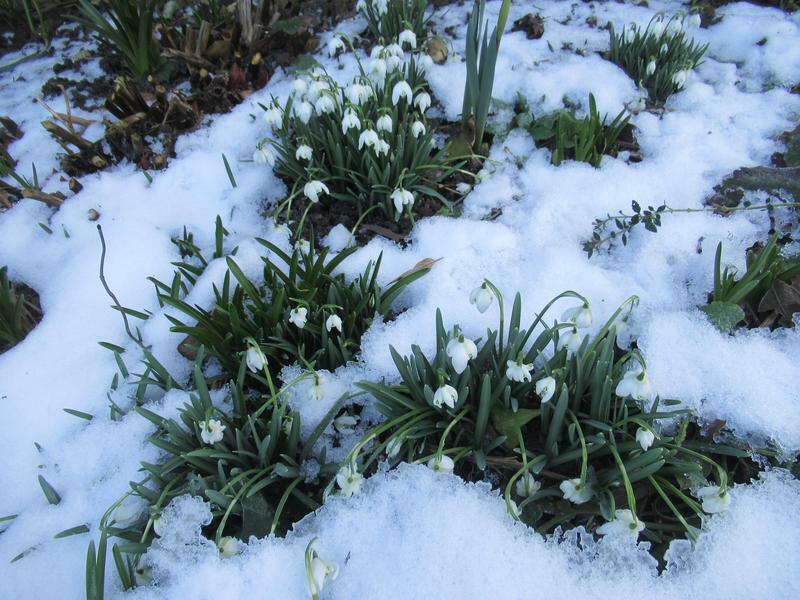 These snowdrops were completely buried and have gradually been revealed again. They look fragile but are so resilient. I will be glad to see the back of the snow as it feels like enough now. 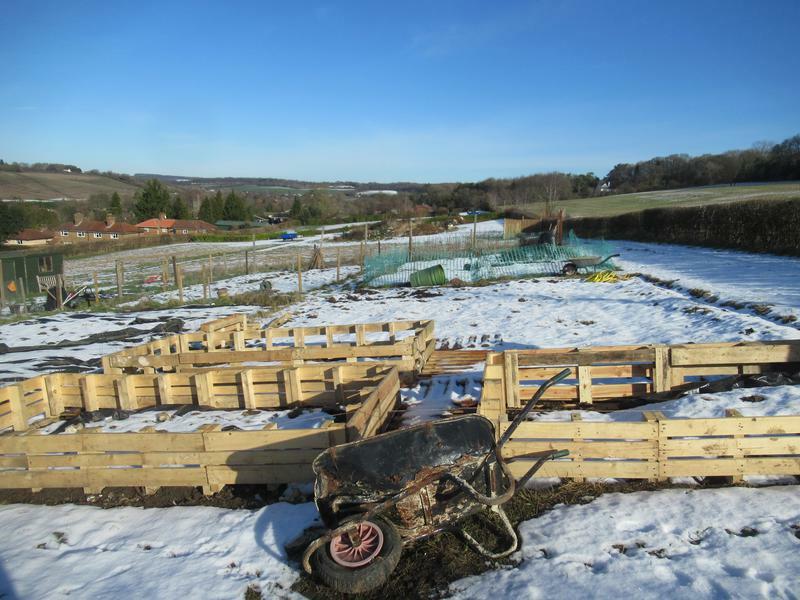 It will soon be spring, and you can work on your allotment, on Sunday we had such a lovely day,I spent the whole morning clearing up the garden, It was lovely being out there pottering away. Yesterday was just awful, wind rain, and so cold, how can two days be so different. Your Snowdrops are lovely, ours are nearly there. It was the same here. Sunday was cold but lovely so we wrapped up warm and went for our walk. Yesterday couldn’t be more different. It rained on and off all Sunday night and all day yesterday. It was dark and wet all day and although not so cold it felt as if it was as there was no sun. The only good thing is that it has got rid of all the snow. I am hoping that maybe that’s the worse weather behind us. I am amazed at how late your snowdrops are.